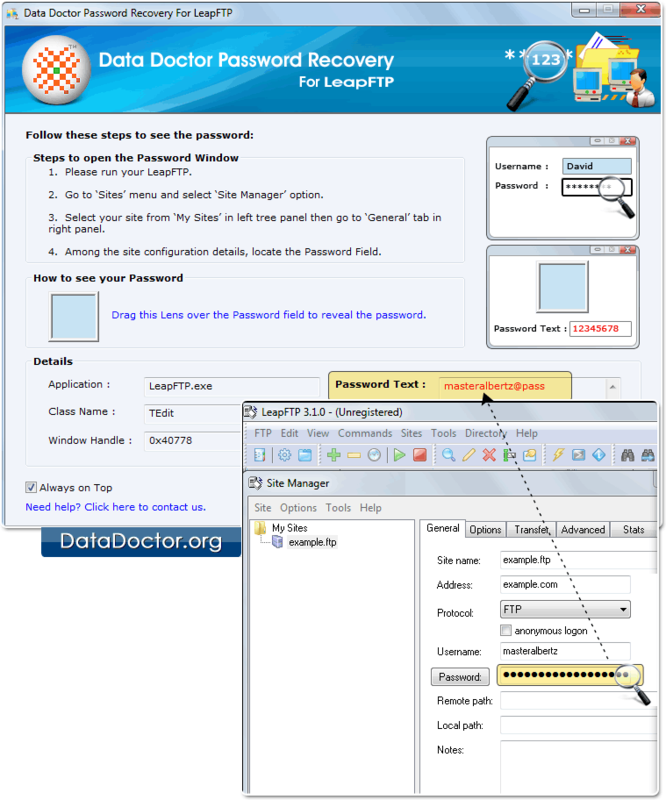 Password Recovery Software For LeapFTP unmasks lost LeapFTP passwords that are hidden behind asterisk. Password retrieval tool provides recovery of multiple accounts passwords regardless of their complexity and length. 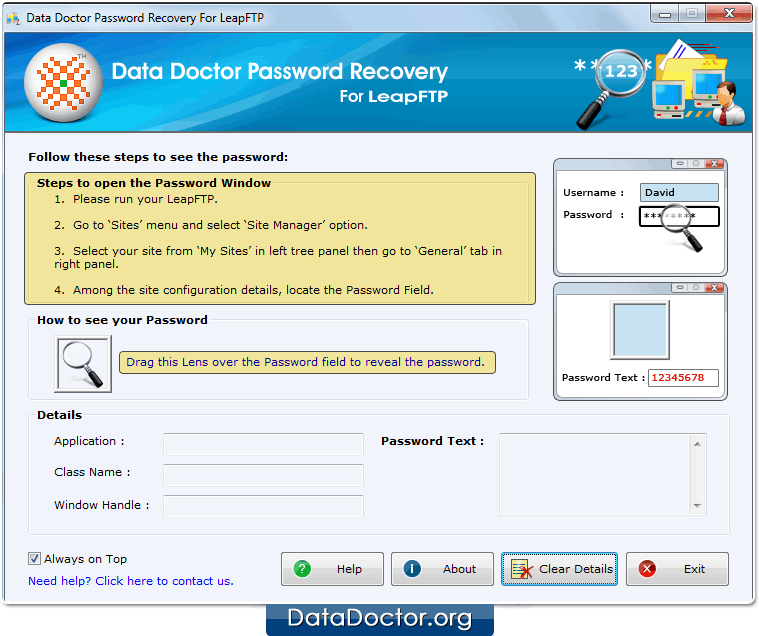 Install and Run Password Recovery For LeapFTP. Select ‘Site manager’ option from ‘Sites’ Menu. 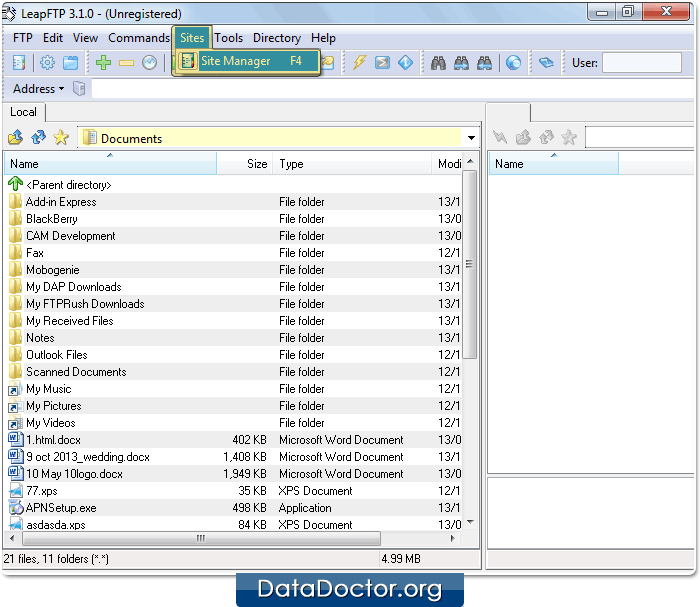 Drag lens over password field to locate it among configuration details. See your revealed password in ‘Password Text’ field.